HHS appoints Genevieve Morris, MA as ONC’s principal deputy national coordinator. 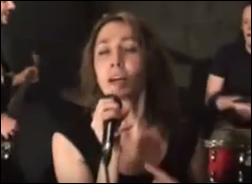 She was previously senior director of HIT policy with Audacious Inquiry. Unlike her predecessor Vindell Washington, MD, Morris has no clinical education or experience (her master’s is in political science), having spent her nine-year career working on HIEs and Meaningful Use. From Hospital Personality: “Re: Epic. Announced that they are developing a fetal monitoring solution so that customers don’t need to turn to a third party such as Perigen, GE, or Obix.” Unverified. I received more reader comments about working with Epic’s App Orchard. The experience with App Orchard thus far has been very disappointing. After paying the hefty fee for the Silver tier, we expected to receive all of the perks of the tier as discussed in the App Orchard documentation. 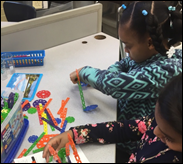 Unfortunately, upon receiving access to the App Orchard program, it became readily apparent that much of what was promised was either not available or, in some cases, not yet built. Additionally, we were informed by App Orchard personnel that our "Sandbox" access would only be for a testing Sandbox and not an environment that we could use to demonstrate our solution to clients. 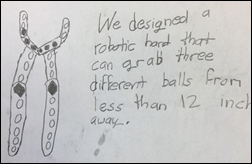 The original documentation was highly misleading on this point. The documentation also suggested that any press releases were to be submitted to the App Orchard team for review. 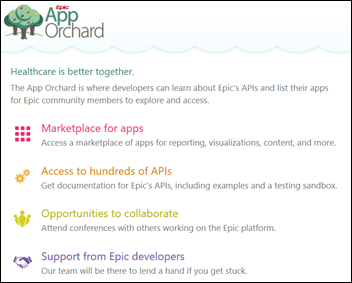 After we went through a lot of effort constructing a press release with our PR firm and submitting it to App Orchard personnel for review, we were told that Epic would be providing developers with a standard press package. All of this inconsistency is making us very uneasy. While we appreciate that we are one of the first few companies to join the App Orchard, and that we will be helping define the process for other companies in the future, we expected the process to be far more robust and established. On the plus side, the App Orchard personnel have been very responsive and have provided as much help as they could given the under-developed state of the Orchard at the moment. We applied to the Epic App Orchard right when it was opened to vendors. Our initial interaction with Epic required us needing some detailed information on the different levels that App Orchard offered. I was pleasantly surprised to see how quickly they replied and how helpful they were as we worked through this decision. Our application was processed timely and we got the access that we needed to start working on the technical integration. We are currently working on the technical integration and will soon be planning the marketing efforts. So far, so good. The team has been very responsive and the APIs are robust. We wish there were a bit more clarity on the pricing model for the live application (transactions vs. revenue share structures are a bit hard to follow). We also wish we had a clear sense of the timing / duration of the approval process for an application, as well as acceptance / rejection criteria. NantHealth reports Q1 results: revenue up 16 percent, adjusted EPS –$0.24 vs. –$0.18, missing expectations for both. NH shares continued their slide on the news, now down 83 percent since last year’s IPO. 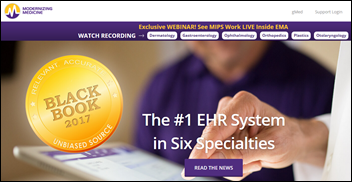 Specialty EHR vendor Modernizing Medicine raises $231 million in a private equity investment, increasing its total to $322 million. New York-Presbyterian promotes Peter M. Fleischut, MD to SVP/chief transformation officer. Ivenix promotes Jesse Ambrosina to COO, George Gray to CTO/VP of R&D, Janice Clements-Skelton to VP of HR, Carolyn Malleck to VP of finance, and Ben Powers to VP of infusion systems. PokitDok will build its healthcare transaction recording platform on the Linux Foundation’s open source Hyperledger Sawtooth blockchain project along with Intel Software Guard Extensions. Vermont Information Technology Leaders and Medicity connect the Vermont HIE to the Veterans Health Information Exchange, allowing clinicians in the VA and the HIE members to view each other’s records for a veteran patient. MModal announces enhancements to its computer-assisted physician documentation technology. WellSpan Health brings its initial sites live on Epic. 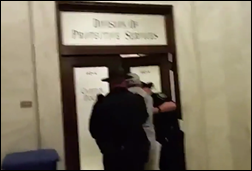 Officers in West Virginia’s state capitol arrest a veteran journalist who was attempting to ask HHS Secretary Tom Price if domestic violence would be considered a pre-existing condition under the House’s American Health Care Act. Dan Heyman was taken away in handcuffs and charged with “willful disruption of state government processes,” with the Secret Service agents who were protecting Price and White House Special Counsel Kellyanne Conway claiming they had warned Heyman that he was interfering with their work by shouting questions that Price was ignoring. HIMSS reports that while Congress’s spending bill still won’t allow HHS to spend money to develop a national patient identifier, it encourages HHS and ONC to provide technical assistance to non-governmental organizations trying to address the patient identification issue. Memorial Hermann Health System (TX) pays $2.4 million to settle HIPAA charges following a 2015 incident in which it issued a press release that named an illegal immigrant who was arrested after using a phony Social Security card at one of its clinics. The hospital said it called police because of concerns about fraud, not immigration status. The woman’s husband was also in the country illegally, but had insurance through his employer. Hackers breach two old data servers of a Memphis, TN family medicine practice using valid login credentials and demand a $10,000 ransom after encrypting its files, which the practice declined to pay since they switched EHRs 18 months ago and only those older records were involved. 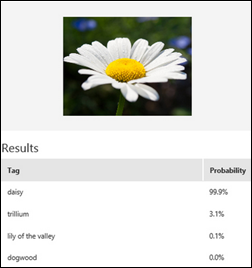 Cerner says it’s interested in just-announced Microsoft technology that can identify, name, and index objects depicted in photos or video, saying it could be useful for alerting hospital nurses of patient actions that require their attention. 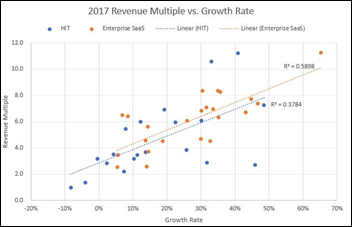 If the set of health IT companies were able to grow more quickly, it is likely that their valuations would become more in line with general enterprise SaaS companies. The reason for health IT’s slow growth rate is no doubt a complex combination of factors including longer sales cycles, heavy regulation, and slow adoption rates. Potentially it may be due to the relative immaturity of the healthcare software market and a different mix of publicly traded comps in health IT as compared to the larger and more mature enterprise SaaS market. Sonar studies at University of Mississippi Medical Center (MS) reveal that up to 7,000 human bodies are buried on the hospital’s grounds, believed to be those of patients who died in the state’s mental hospital from 1855 to 1935 when it was located on what is now hospital property. Construction work turned up 2,000 bodies three years ago. The medical center, faced with a $21 million estimate to relocate the remains, is proposing to exhume a few of them for research and then just build a memorial. A scientific editor trolls one of the many predatory medical journals with lofty-sounding titles that will run articles from publication-desperate researchers in return for cash. 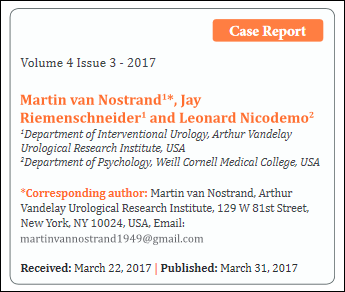 He submits an article built entirely around “Seinfeld” episodes as researched at the prestigious Arthur Vandelay Urological Research Institute, listing himself as the primary investigator under the name Dr. Martin van Nostrand. The Urology & Nephrology Open Access Journal accepted the article about a made-up condition nearly verbatim, billing him for its $799 fee (a mistake on their part since he declined to pay). Eric Topol interviews the fascinating Pardis Sabeti, MD, PhD: member of a family who emigrated from Iran just before its 1978 revolution, Rhodes scholar, physician, scientist (computational biology and medical genetics), host of an education TV series about statistics, and singer/songwriter for Thousand Days, a decent alt-rock band. Advisory Board Chief Medical Officer Dennis Weaver, MD, MBA presented “Pragmatic Approaches to Succeed at Value-Based Payment and Care” at the World Health Care Congress Hospital and Health System Summit in Washington, DC last week. EClinicalWorks will exhibit at the Ohio Association of Health Plans Annual Convention May 16-17 in Columbus. GE Healthcare will supply over 200 Egyptian hospitals with 700 units of its advanced healthcare technologies. Healthwise will exhibit at the Cerner Collaboration Forum May 16-18 in Kansas City, MO. Huntzinger Management Group’s William Reed is named a Life Fellow Member of HIMSS. Consulting Magazine names Impact Advisors VP Lydon Neumann one of the Top 25 Consultants of 2017. Imprivata will exhibit at VA Healthcare 2017 2017 May 15-18 in Arlington, VA. Entrepreneur Magazine features LogicWorks CEO Kenneth Ziegler. Healthgrades recognizes Meditech hospitals for patient safety. National Decision Support Company will exhibit at WEDI 2017 May 15-18 in Los Angeles. Navicure and PatientKeeper will exhibit at Centricity Live 2017 May 17-20 in Boston. Shane McCarran joins Orchestrate Healthcare as senior recruiter. 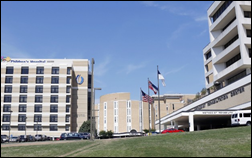 Experian Health will exhibit at HFMA WV May 17-19 in Roanoke. InterSystems will exhibit at the NEHIMSS Annual Spring Conference May 11 in Foxboro, MA. The US Patent Office awards Intelligent Medical Objects a patent for its medical terminology solution. I would be interested to know some de-identified information about the App Orchard vendors that are welcome with open arms from Epic while other groups are receiving what is more or less the cold shoulder. Other than healthcare organization developers, who does Epic “want” to work with? I’ve read that Epic is a huge funder of Planned Parenthood. I wonder if this new technology will be provided to their clinics nationwide at a discount or created at their request? I assume Epic doesn’t service Catholic hospitals. Why on earth would you assume that?